Locally established Clickatell, a global mobile messaging and transactional services company, has announced a new addition to its executive team as part of its sub-Saharan Africa strategy. RDB Consulting, an ICT outsource and consulting company has recently reacquired full control of the organisation by completing a transaction to purchase their outstanding shares from The Webcom Group. The Group had acquired a 50% stake in RDB Consulting when founder and current CEO Jaroslav Cerny sold half of the private company’s shares in 2009. Falcon Electronics has once again scooped a prestigious award when they were named ATEN International’s “Best Marketing Distributor for 2011”. Falcon received this award at the recent annual ATEN Central & Eastern Europe Distributor Conference held in Amsterdam. ATEN International is a leader in design, manufacture and distributing cutting-edge connectivity solutions. Falcon Electronics is proud to announce the launch of ATEN International’s new four-port HDMI-based video switch to the South African market. Designed specifically for A/V installers and home theatre enthusiasts, the VS482 Dual View HDMI switch supports four HDMI video input sources and two HDMI output displays, and offers a simple and cost-effective solution to add HDMI capabilities to a home theatre system by allowing users to switch easily between up to four HDMI A/V sources that are connected to up to two HDMI displays. It’s a moral imperative for organisations to share their success by investing in those less fortunate, says Arnold Beyleveld, corporate social investment manager at Business Connexion. Beyleveld notes that companies should consider their roles in society in terms of responsible business practices that contribute to profitable and sustainable growth. 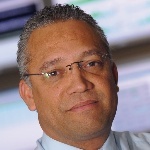 Business Connexion has registered with Eskom as an Energy Services Company. Vanessa Olver, Business Connexion deputy CEO, says with this status, Business Connexion has the ability to develop and deploy technology that reduces the demand on the national grid, while delivering its clients’ computing needs at optimal cost. Business Connexion: Strong past, challenging yet promising future!